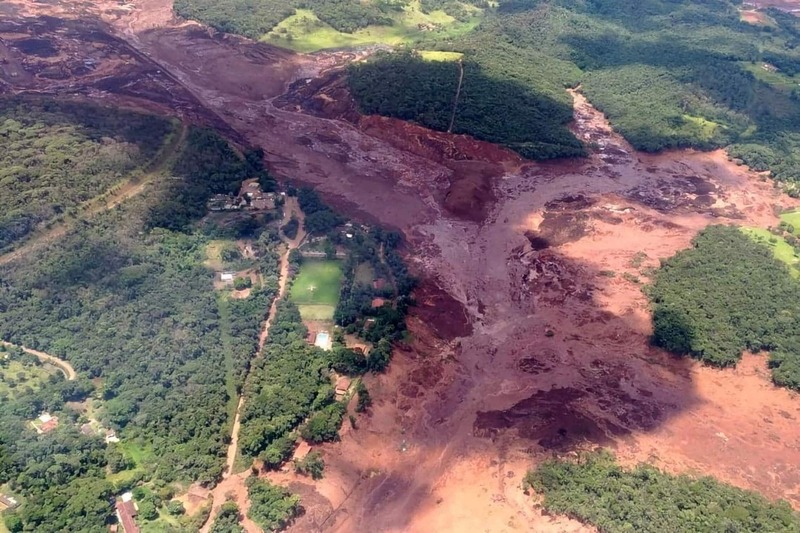 A Pataxó Hã-hã-hãe village had to be evacuated after a Vale-owned tailings dam ruptured in Brumadinho, a municipality located in the Brazilian state of Minas Gerais. The 25 families living in the village of Naô Xoha were taken out Friday afternoon, January 25, to the highest part of the municipality of São Joaquim de Bicas, where the community is located. Brumadinho, São Joaquim de Bicas and Mário Campos form the set of cities cut by the Paraopeba river, which was inundated by tailings mud around 15:50 this Friday. “Our village is on the banks of the river. It is essential to our livelihood. The mud is already in the center of Brumadinho and has not yet reached the village. Our area might or might not become inundated. They informed us that this will depend on the impact and flow of the river, which is not very wide, but if it has already reached the river, it is difficult to not affect us”, explains Eni Carajá, Pataxó Hã-hã-hãe. According to inquiries made by the Movement of those Affected by Dams (MAB), there were, in fact, four dams that collapsed; and there is a fifth dam holding back water that could still rupture. The Fire Department of Minas Gerais confirms at least 200 people are missing. The tailings reached the administrative area of Vale and part of the community of Vila Ferteco, but the sea of mud continues to devastate whatever lies in its path including homes in Córrego do Feijão and surrounding municipalities. “For now everything is under control. Our people are protected and we hope that the mud will not destroy the river and our village, but there is still a lot of mud to descend, unfortunately. The Civil Defense and health teams are accompanying us. Near us an occupation of the MST also had to be evacuated”, says Eni Carajá. History could very well repeat itself. Three years ago, in November 2015, the Fundão dam broke, devastating the Rio Doce Valley basin and inundating the mining town of Bento Rodrigues, leaving 19 dead and hundreds evacuated. The tailings reached the mouth of the Rio Doce (Doce River), in Espírito Santo. One of those responsible for the Fundão tragedy was Samarco, a company that worked in partnership with the Vale mining company. Some 126 Krenak families live in seven villages on the banks of the Rio Doce. Before the Fundão disaster, they fished, hunted, and lived off the river. After the river was polluted, the Krenak become dependent on state resources and food purchased in supermarkets. All the animals disappeared from the region. They could no longer fish, plant food or hunt. To this day, the river remains unusable in a recovery process that could still take another decade. For now, Pataxó Hã-hã-hã village of Naô Xoha must wait to find out if they will suffer the same fate.